to maximize your Cash Cabin experience! 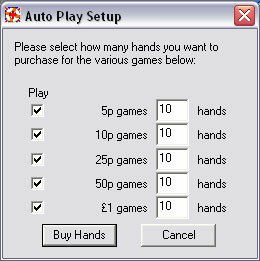 The minimum amount of hands a player can buy is 3, the minimum price for a hand is 0, as sometimes cards are free. The minimum bet is thus $0. 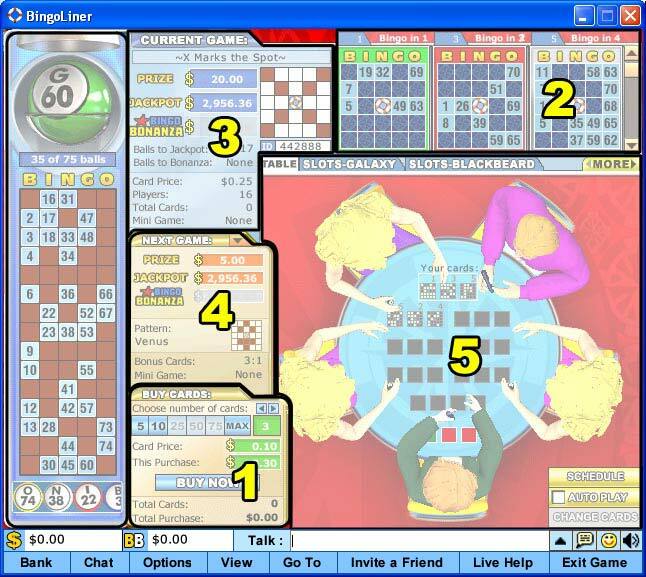 The maximum amount of hands a player can buy on any given blingo game are 240, the maximum hand price is $1. The maximum bet is thus $240. 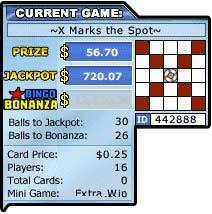 • Bingo Bonanza : The Bingo Bonanza is the Progressive Jackpot and varies proportionally to the card price played. The Bingo Bonanza is a jackpot played across all participating Leapfrog Gaming sites. It is therefore possible for this Progressive Jackpot to be won at another participating site. The starting value of this jackpot is $10,000 for a $1 card, and therefore $1,000 for a 10c card, etc.